Wonder, a 7-year-old Tennessee Walking Horse mare, had recently returned home from three months of training when her owner, Donna Harper, noticed that her mare was not quite herself. Wonder was off her feed and spiked a fever, so Harper contacted her local veterinarian who performed an evaluation and pulled a blood panel. Antibiotics were initially prescribed, but “follow-up blood work showed development of complications,” said Harper. Unfortunately, Wonder’s condition went downhill quickly. Harper’s veterinarian administered fluids and recommended immediate referral to UF’s Large Animal Hospital. Harper recalls her veterinarian hanging fluid bags from the branches of a tree since Wonder was too weak to make it back to the barn for treatment. 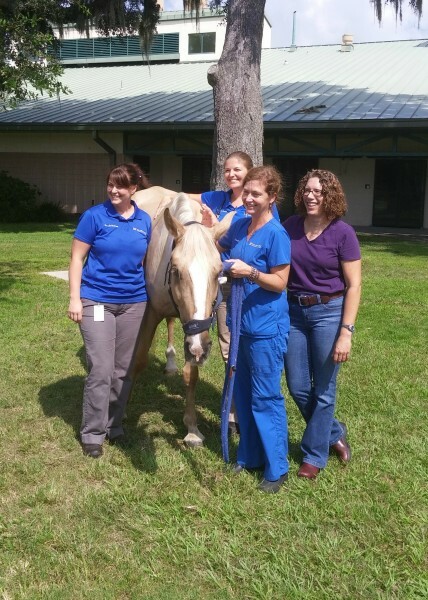 On July 9, Wonder was admitted to the Large Animal Hospital and received by Sarah Reuss, VMD, service chief and clinical assistant professor of large animal medicine, and Elizabeth Nelson, BVSc, a second-year resident. Chris Sanchez, DVM, medical director and an associate professor of large animal medicine, and Amy Stieler, DVM, a third-year resident, were also involved in the case. Upon arrival, the medicine team immediately began to assess and treat Wonder. An ultrasound exam revealed a large amount of fluid around Wonder’s heart and lungs. Chest tubes were placed to drain approximately 40 liters of fluid from her chest cavity and another eight liters from around her heart. Sanchez informed Harper that the next 24-48 hours were critical. Wonder was diagnosed with pericarditis (irritation of the thin saclike membrane surrounding the heart) and pleuropneumonia (pneumonia complicated with pleuritis, or inflammation of tissues that line the lungs and chest cavity). The prognosis for Wonder was guarded with concerns of more fluid buildup or scar tissue forming around the heart. While hospitalized, Wonder received a variety of treatments, including antibiotics, a plasma transfusion and ice boots in an effort to prevent the potentially deadly complication of laminitis. Fortunately, the only complication Wonder experienced was weight loss. Within a few days of admission to the hospital, Wonder no longer needed chest tubes. Nelson performed an echocardiogram which indicated a decreased amount of fluid around the heart. On July 28, after 19 days in the hospital, Wonder was healthy enough to return home. A month later, Reuss performed a recheck exam which entailed a rebreathing exam and ultrasound to detect whether or not scar tissue had formed around the heart or in the chest cavity. Wonder passed her recheck exam with flying colors. Harper was given the green light to increase turnout and then after 60 days Wonder could return to work under saddle. Harper is happy to report that Wonder is running, bucking and playing with her half-sister. Harper wanted to ensure that Wonder had enough rest and weight gain before putting her back into work. 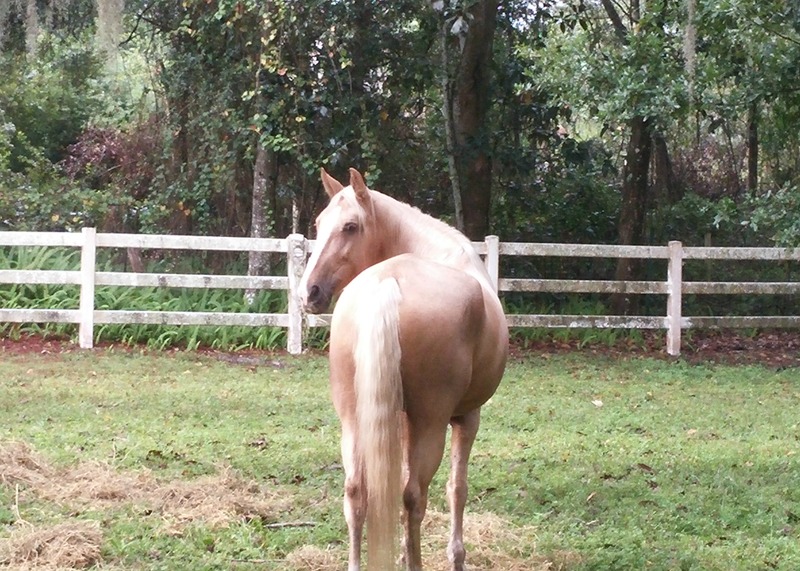 She has started her in the round pen and has plans to eventually continue with dressage.